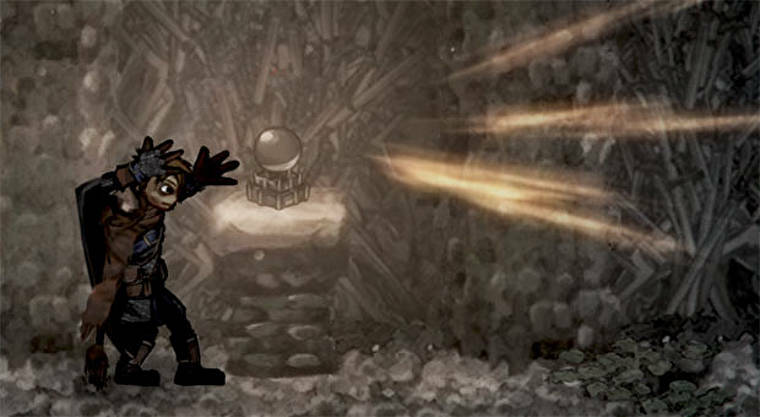 Have you ever wondered what Dark Souls would be like if you gave it more of a 2D Castlevania feel and look? Well, look no further than Salt and Sanctuary (S&S). 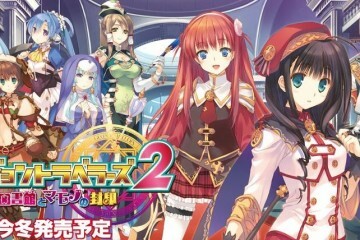 It takes the best characteristics of both and somehow manages to make a game its very own. Despite minor flaws, S&S is a unique clone which sounds like the oxymoron type of game you always wanted. Let’s pretend for a second that the story even matters and that you will put one ounce of thought into it while playing. 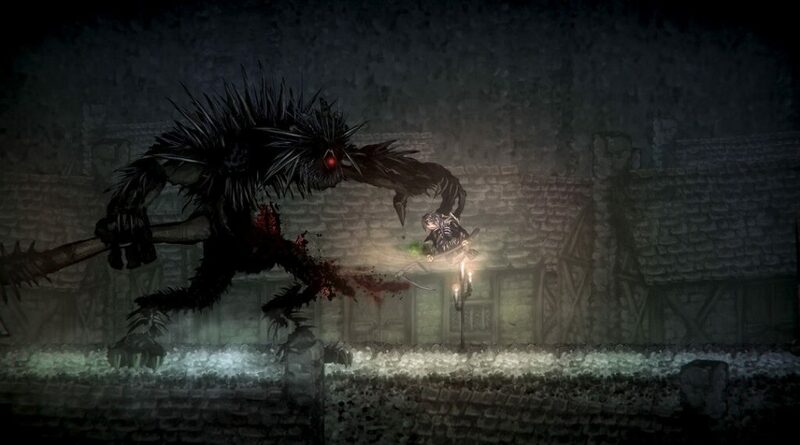 I say that because once you start Salt and Sanctuary you find yourself immersed more in gameplay than you do in what can be considered the story. You (a soldier, mage, thief, cook, paladin, etc.) start off on a boat transporting a Princess somewhere. You awake to see that your boat is being attacked by pirates and one of the Lovecraftian elder gods of the sea (Take a guess which one). You quickly learn some basic mechanics and then go to fight an unwinnable boss fight. Once you die, you awake, again, on a misty, mysterious island trying to find the princess and, well, that is about it. You’re given very little information on your motivations. Your goals are never outlined, other than try and survive, and never outlined through dialogue. 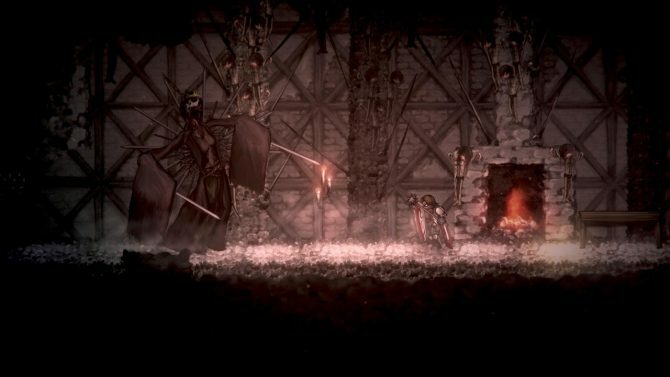 However, what Salt and Sanctuary does well is to make you realize that you are here to explore, discover, improve, and survive. As I mentioned before, gameplay is what really shines here. However, much like the Dark Souls influence, where things feel weird for me is really in the combat system. While, yes, these kinds of games you need to be more methodical and precise rather than a normal hack-and-slash. 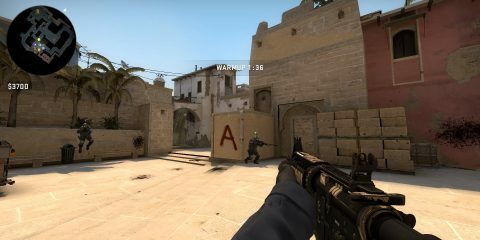 However, the initial movement speed might turn off some players. It really does feel like the characters have eaten entire contents of a refrigerator, or perhaps the machine itself. It’s slow. I encourage you to stick with it though. You will get used to it especially if you got into Dark Souls. Players will find a variety of weapons at their disposal, including the usual slew of swords, spears, and axes and many characters have the option to carry a shield in your second available hand. This will take the sting out of being hit. You can even parry enemies to get dizzy them into receiving a killing blow. Maybe you are more of a two-handed type fighter, S&S has them too. Of course, to wield your weapon you will have to be quick with the dodge button. You may deal out more damage but at the cost of your defense. Your dodge roll and attack also have to do with your stamina meter so be mindful of what time of character you wish to play as. 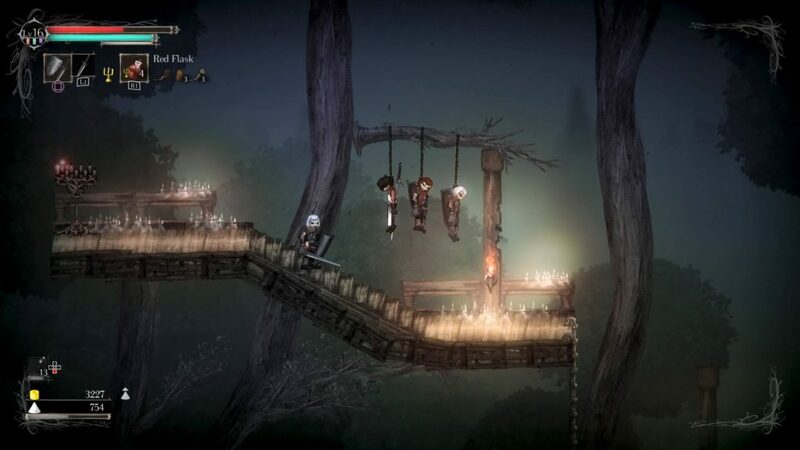 The one element of gameplay that I haven’t mentioned of Salt and Sanctuary involves jumping. 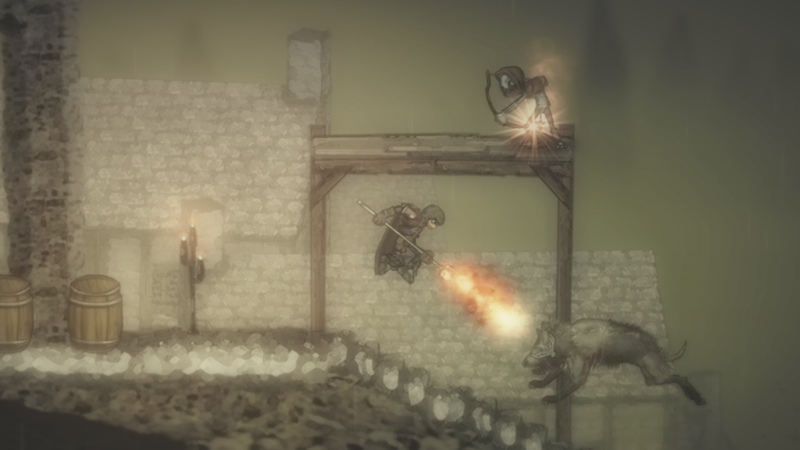 Yes, jumping and platforming is a prominent part of Salt and Sanctuary and as a result, this is what makes it feel like a combo of Souls and Castlevania. The unfortunate part of this mechanic is that the S&S team, Ska Studios, saw it fit to add some pits of death all over the place. Half the time I died because I wasn’t paying attention and jumped into a pit or my guy didn’t grab the ledge. Mostly my own fault though, so I can’t give off points there. Jumping definitely came in handy at many crucial points. When I was with an inch of health trying to get back to the Sanctuary and I jumped to avoid a werewolf, for example. 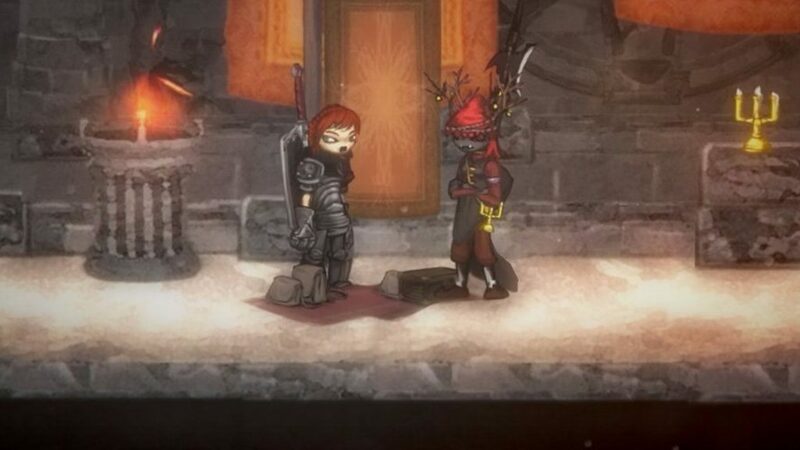 Instead of trading in souls, Salt and Sanctuary wants you collecting and trading in salt (hence the name) to level up your fighter. Honestly, there is this simple pleasure of accruing salt by killing monsters. While you get to explore, you’re putting money in your pocket, gathering salt, and investing in a skill tree. The branches of the tree contain different abilities that fall within one of six categories; strength, endurance, dexterity, willpower, magic, and wisdom, and it’s entirely up to you the character you want to build as with any normal RPG. There are a ton of different paths and options at your disposal in this skill tree which really makes it feel like you have even more minute control over how you want to build your character. At the same time though, more unlockables are gated in this way and as such, it can be a bit frustrating and long-in-the-tooth at points to unlock rather simple things like upgraded weapons. Still, the way in which Salt and Sanctuary lets you create your character allows for so much freedom, and I can’t knock it for that. I Can Be An Artist Too! Let’s address the real elephant in the room for this game. The playable characters look like something you would find in a 1990s flash game on Newgrounds.com. If you are under the age of 18, you probably have no idea what I’m talking about. To explain easily – It’s not that great. However, the redeeming quality here are the monsters, bosses, and backgrounds. The build for all three of these things are absolutely gorgeous. It makes me want more from the actual fighters since you mostly see them, but it isn’t that terrible that it makes the game bad, just something to note for those of you that love artwork. 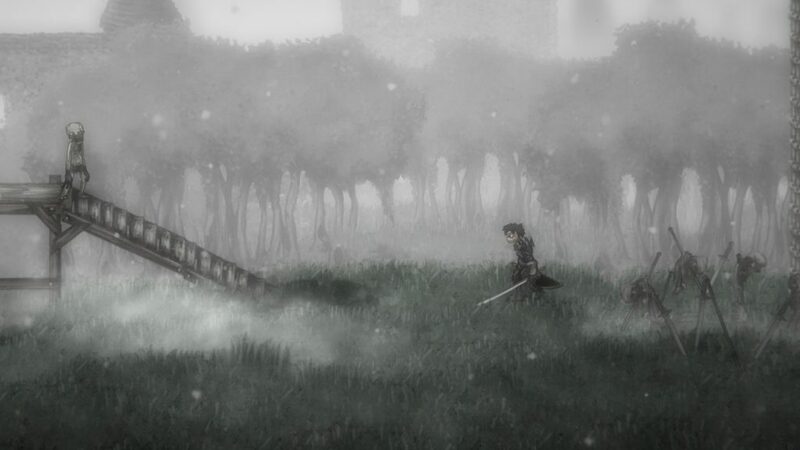 Salt and Sanctuary is a wonderful game with very minor flaws. 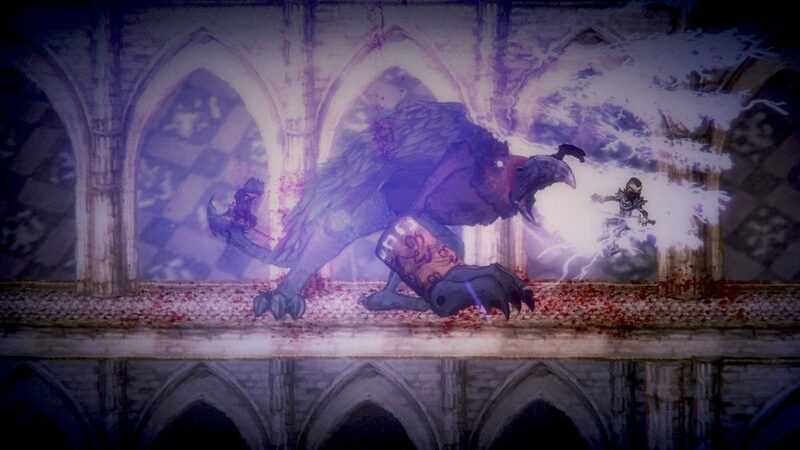 The Dark Souls-esque mixed with some Castlevania type gameplay is a great little mix up. The game has pretty good control that can get frustrating at times. The music is haunting and fits amazingly into the game. While the game could use a little mini-map, S&S is a vast open world that is fun to roam and explore, filled with secrets and danger alike. 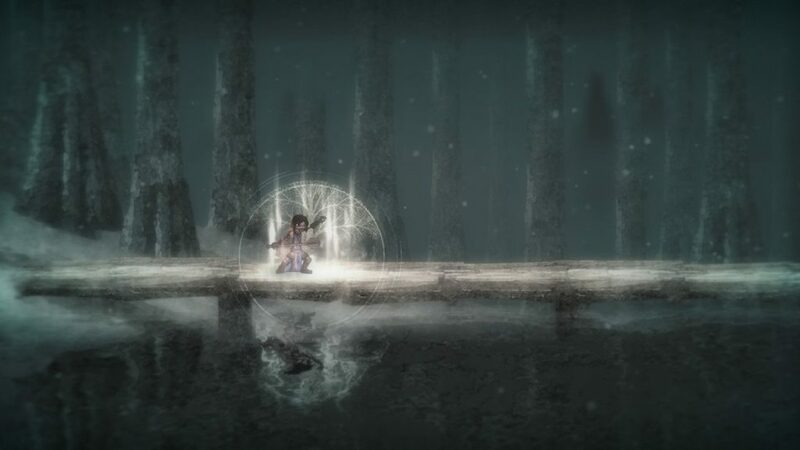 I would absolutely recommend Salt and Sanctuary to any gamer that loves a good challenge. 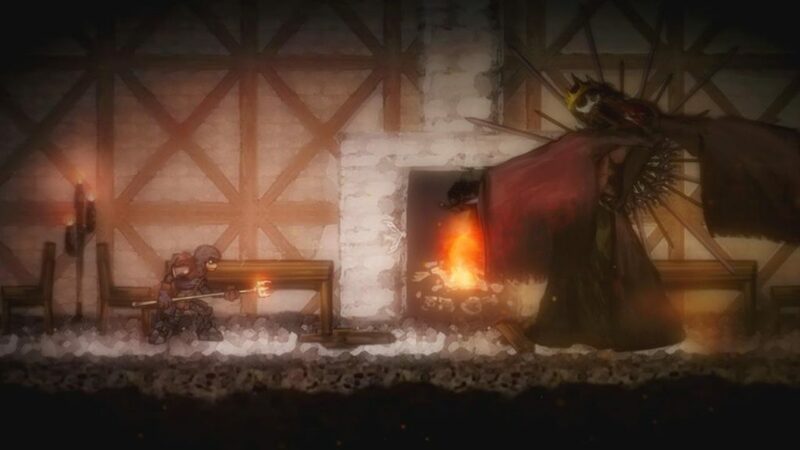 You can purchase Salt and Sanctuary for less tha $20 for PC, Xbox One, Nintendo Switch, and PlayStation 4.